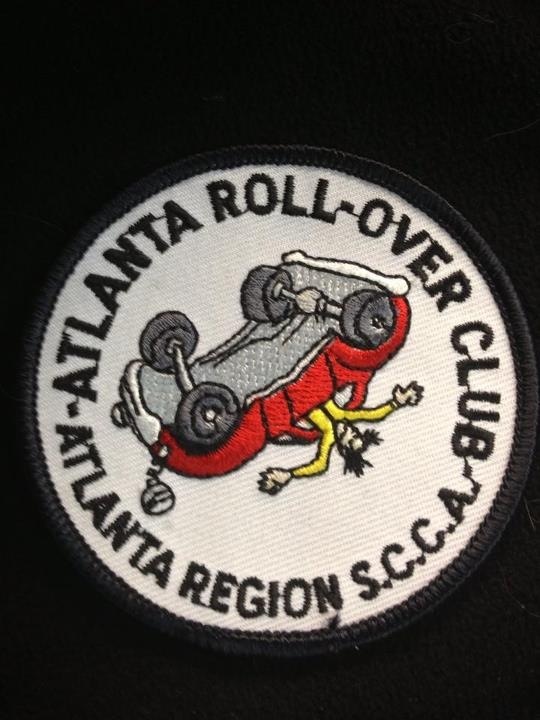 This past weekend BGB Motorsports driver Dr. James Norman was inducted into a very special club founded by the SCCA's Atlanta Region, when he left the racing surface entering Road Atlanta's famous blind, uphill turn 1. Norman, of Tampa Bay, FL is normally known for his quiet, soft-spoken demeanor, which is why it was odd for the Grand Am driver to have attempted something such as this. 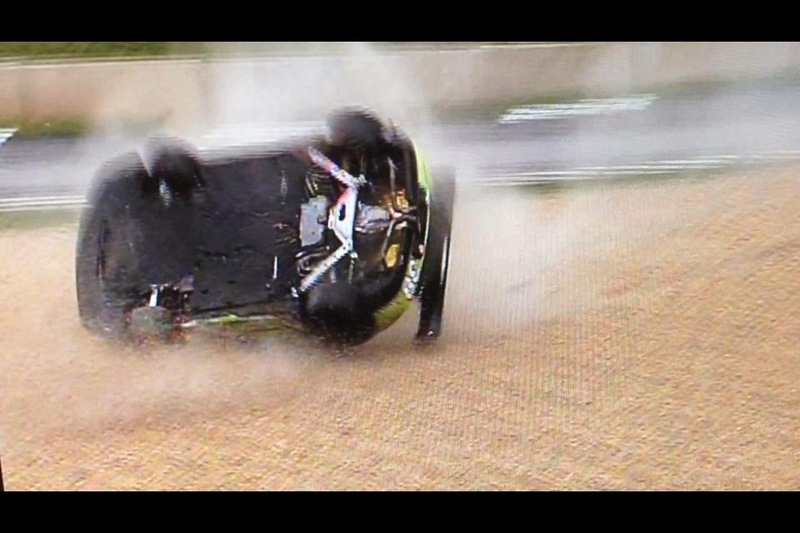 Norman - someone who usually chooses to "fly below the radar," chose NOT to enter Turn 1 and instead, drift the entry of Turn 1 and then perform the elusive "gravel mowing, sideways somersault." This feat which typically earns anywhere from a score of 9.6 to 10.0 depending on the panel makeup of former Olympic Men's Gymnastics Judges from the former Union of Soviet Socialist Republics, involves leaving the racing surface to drift the gravel trap and then somersault before landing; in order to achieve maximum point allocation, the car must sustain only cosmetic damage, taking additional cabin ballast in the form of gravel or Diet Mountain Dew. With this being the Grand American Road Racing Associations first and only visit to Road Atlanta, given that the two sports car racing series in North America are merging and creating the United SportsCar Racing identity for 2014, Norman is sure to have his name in the history books as Grand-Am's entry into this very exclusive club. Calls were made to Norman's home in Tampa but no comments were made. The team's official comment was as follows, "This is typical for the Doc -- while the entire paddock and the rest of the motorsports world are shocked by the fact that we were able to put this car back together in 2 hours, we are not. The folks at Porsche Cars North America sell a very "balanced" car in the Cayman. Just read the reviews! Editors are always raving about the balance and we had no idea that's what they meant - we thought it gripped the road well." When asked about the miraculous fact that the car was unscathed, the team's manager added, "Since I started my career in racing, I find that it helps to pray weekly to the Catholic's patron saint of miracles before every event; when that doesn't work, I remember that it pays to stay current with your racing dues." 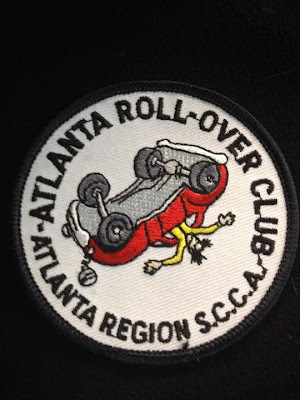 Corner workers from the Sports Car Club of America did not recognize the employee who has been a current dues paying member of the Atlanta Region SCCA since joining in 2000, racing out of region while living in New York City, Manhattan Beach, CA and then Florida. When asked why Tecce has chosen this region as his home he added "without the men and women of the Sports Car Club of America, who donate their time as corner workers to stand outside all day long ins sometimes very unfavorable conditions, none of us would be able to do what we do. Thanks Workers!"